I've had little more than 2 hours with the release, and I think it's one of my favorite photography purchases under $100 that I've made, if not the best. I was so excited about it, that I've decided to publish my knee jerk, first impressions of the soft shutter release. 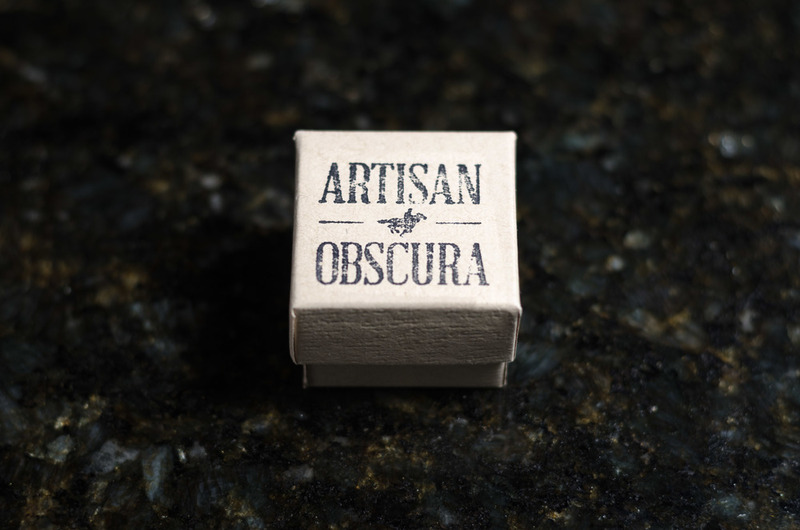 My Artisan Obscura soft shutter release arrived in a simple, brown box with Artisan Obscura's logo stamped on top. It's a simple, understated package that I find quite beautiful. Popping the top, you are presented with your soft shutter release in a wood block. I've seen where others have ordered multiple soft shutter releases and they arrive packaged in a wider version of this box with a custom wood platform holding the releases in a row. This gives a hand-made, luxurious feel to the product – they are as excited for you to have it as you are to have ordered it. When I saw the first Artisan Obscura wooden soft shutter release, I was sold. Not only an improvement in handling for your camera, but a nice touch to compliment the throwback design of the Fuji X Series, Leicas, or in my case the Nikon Df. I couldn't decide whether I wanted an etched design or a pure, unadultered convex release button. I immediately loved the King Louie design, but wasn't sure about the color they showed in the product grid. I was starting to narrow in on the ebony wood button but had reservations that the button in the ebony finish may be a bit too subtle. I finally settled on the ebony, and really loved how well it would compliment the silver/black finish on my Df. After visiting their site many times, I happened to stumble across the ability to choose different finishes for the etched designs. Eureka! That solved it, ebony King Louie it is. I've already rattled off over 1500 activations on the Df since I received it for Christmas – I just can't put it down for very long. I find the Df to be magnificent, both to use and to look at. The only issue I had with it was that I couldn't use the rear portion of index finger pad, or even the first joint, to take a photo like I can with modern DSLRs. I roll/flex my finger to fire off the shutter instead of pushing the tip of my finger into the shutter button, and the Df just didn't accommodate this action easily. I had heard of Soft Shutter Releases before, usually in Leica circles, but hadn't tried one. 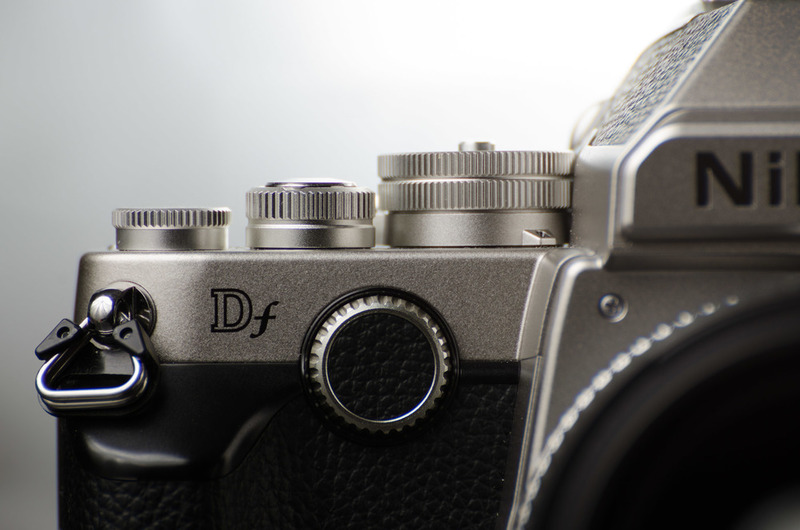 With the Df, trying a Soft Shutter Release was on the top of my list. After only 1 press, I saw why people love them. It allows me to rest my index finger on the shutter speed dial and return to using a roll/flex motion to trigger the release. It's smoother, more natural (for me), and keeps the camera much more stable – they don't call them "Soft Release" for nothing! You can get many different models from different manufacturers. Either small, large, convex or concave in design. Many are aluminum, brass or steel and anodized or painted - the classic metal red button you see on Leicas for instance. However, once I saw the wooden Artisan Obscura releases, I was sold. It will give a warmer feel on cold days in contrast to the chilly magnesium Df, and has a bit of texture which is nice under the finger. 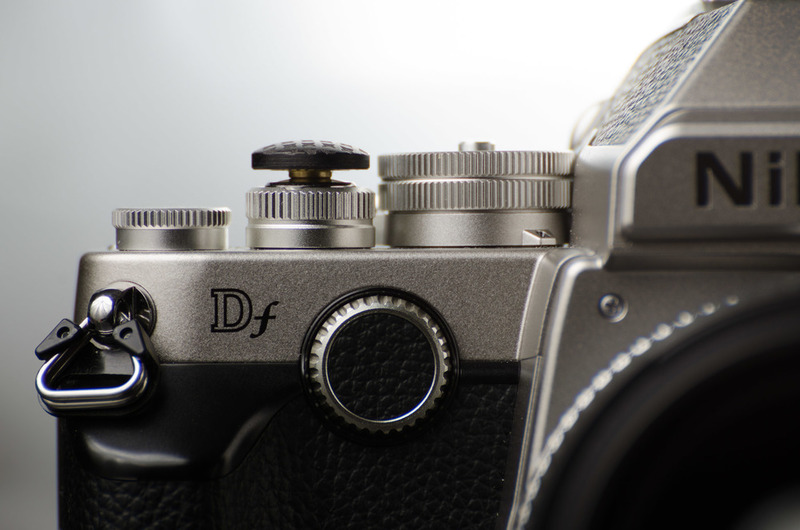 Does your camera have a shutter release button that allows the use of a screw-in remote? Run, don't walk to artisanobscura.com and try one out! I've owned the Cinch version 1 for over a year and when I use a strap it's the only one I'll choose - it's been amazing. From toting around a 70-200 2.8 + 2x teleconverter all day long during the Head of the Hooch Regatta to just a 10.5 fisheye while touring the VAB at Kennedy Space Center it's kept the camera close and easy to access. I love it's simplicity, the machined bits, and how fast it adjusts. When Greg and Duncan announced version 2, I knew I had to get it. After a few weeks of anxious waiting, I got it. I've been using it for a month or so now, here is what I think so far.